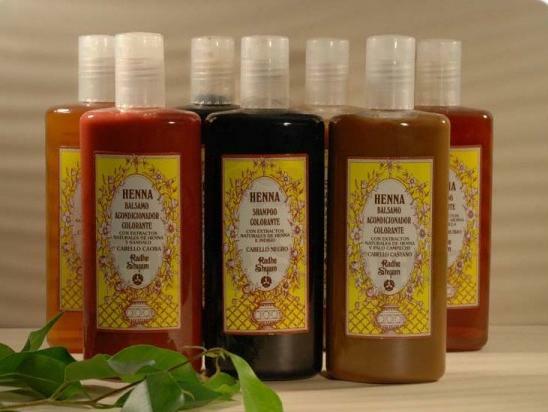 With natural extracts of henna and logwood to fortify the shade of your hair. Enriched with karite butter and olive oil from organic farming, to give your hair an incomparable shine and softness. Does not contain parabens, mineral oils, silicon of phthalates, synthetic dyes or alergens. Ingredients: Aqua, Glycerin, Cetearyl Alcohol, 1.3-Propanediol, Dicocoylethyl Hydroxyethylmonium Chloride, Butyrospermum Parkii*, Cetyl Alcohol, Cetearyl Glucoside, Olea Europea Fruit Oil*, Ethyl Lauroyl Arginate HCl, Hydroxyethycellulose, Parfum, Haemathoxylon Campechianum Extract, Panthenol, Triticum Vulgare Germ Extract, Lawsonia Inermis (henna) Leaf Extract, Sodium Benzoate, Triethanolamine, Potassium Sorbate.